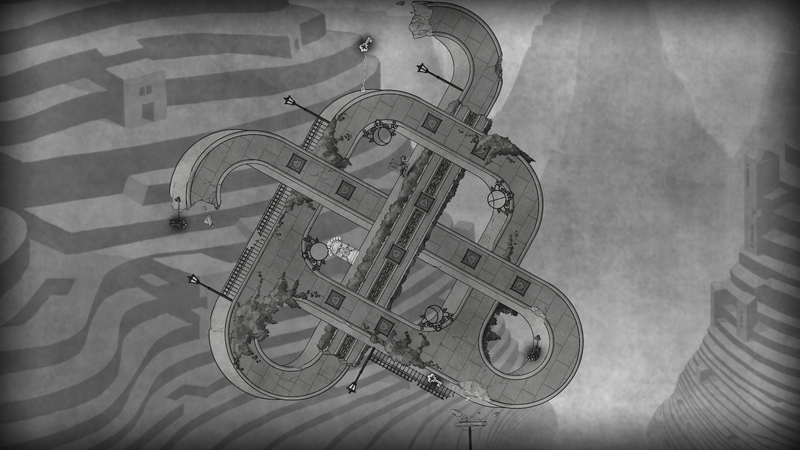 The brainchild of Ty Taylor and Mario Castaneda, The Bridge, is the latest in the recent trend of uniquely illustrated puzzle games. 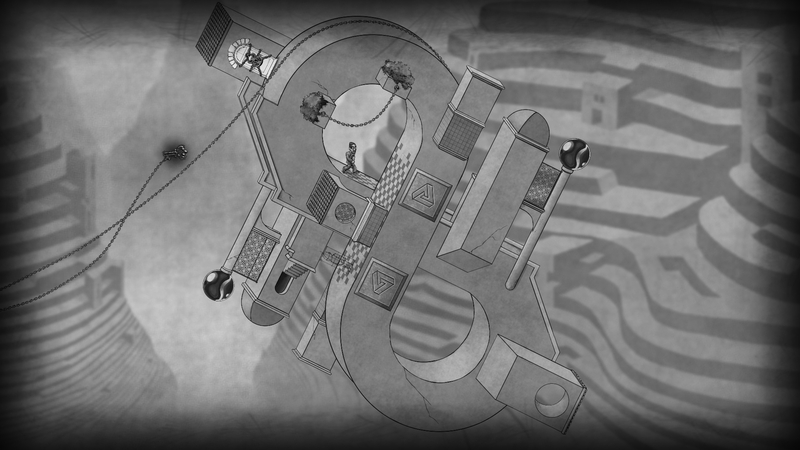 While we received a copy of this mind-bending puzzler shortly before PAX East, I haven’t had a chance to sit down and give my thoughts on it until now. This is not meant as a slight against the game in the least because I enjoyed it just as much, and perhaps more, than others like it including Limbo. The first thing that piqued my interest in this game was the imagery. While this isn’t a game with jaw-dropping textures or large-scale environments with amazing detail, the art of it is just as impressive. 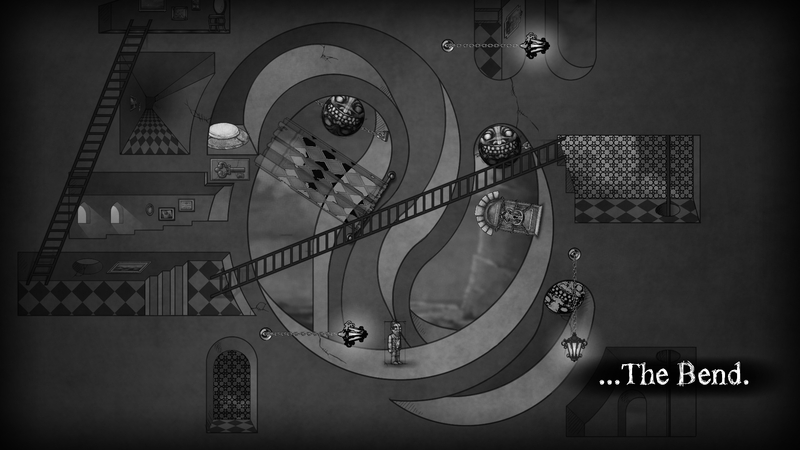 Each level is inspired by the work of one of my favorite artists, M.C. 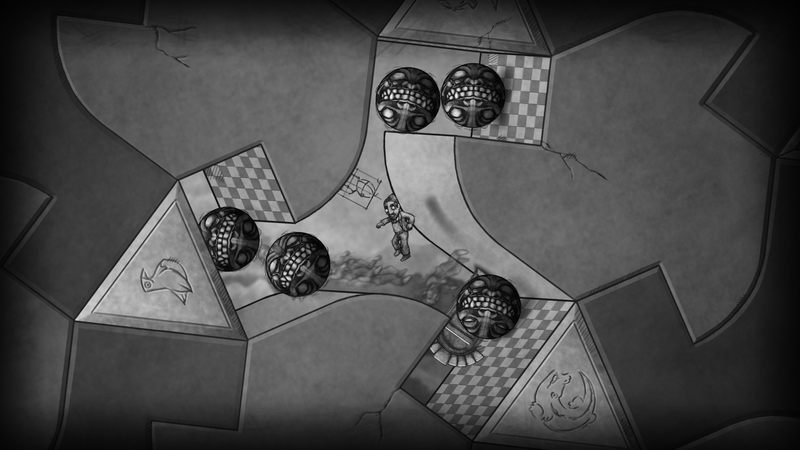 Escher, employing impossible structures and eye-crossing illusions to confound the player as they navigate. 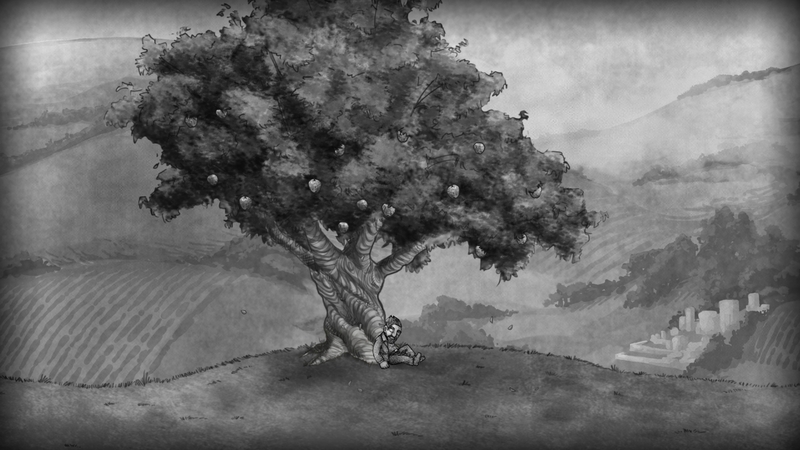 While I couldn’t find any clear connections, the main and ancillary characters both have a strong feel to the work of David Hellman’s own from Braid, which is definitely not a bad thing. As with most puzzlers, you start with a small bag of tricks and with each passing level, gain new ones supplementing the old to overcome the challenges at hand. I’ve had the pleasure of playing The Bridge via keyboard and controller and both were quite intuitive and comfortable. 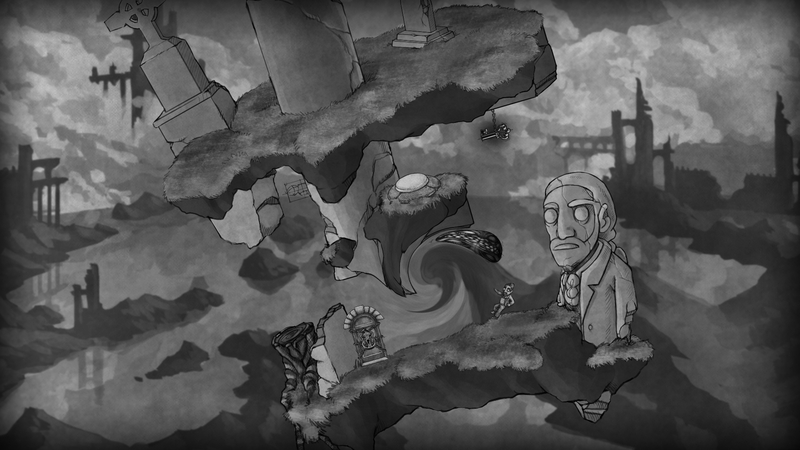 In this game, the player doesn’t just control the main character by walking back and forth along the given landscape, but can shift the landscape as well, manuevering obstacles out of the way while avoiding sending their character off into the great abyss below. One of my favorite features, and necessary at least to prevent pulling one’s hair out, is the ability to reverse time to undo any number of previous tasks and terrain manipulations. The score of the game while limited suits the feel perfectly. 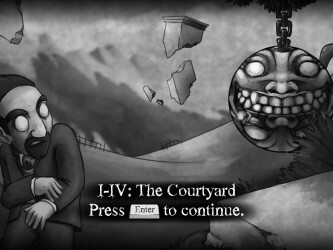 A calming, yet eerie background theme plays throughout each level. The sound effects make it perfectly clear when danger is rolling your way or an object is being shifted to a point of interest. 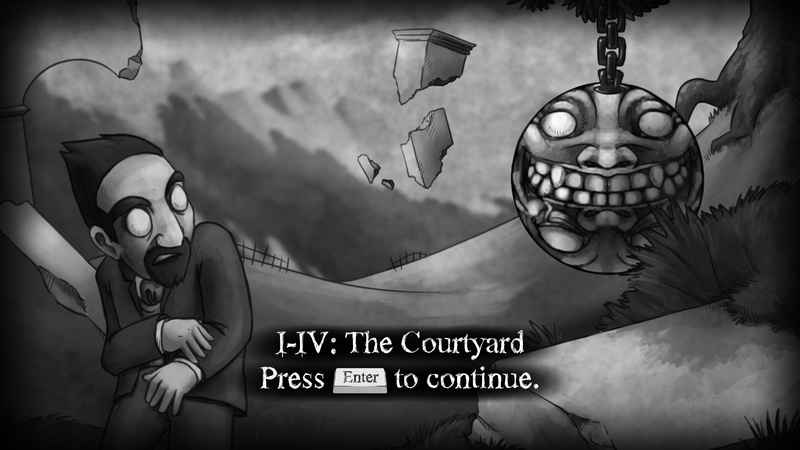 While there is some form of story, it follows in the steps of Braid by providing little snippets via text between each group of puzzles. You’re a character in a world devised by two mathemeticians that’s slowly deteriorating and you’ve got to survive your way through it. All in all, The Bridge is a great way to spend a few hours. 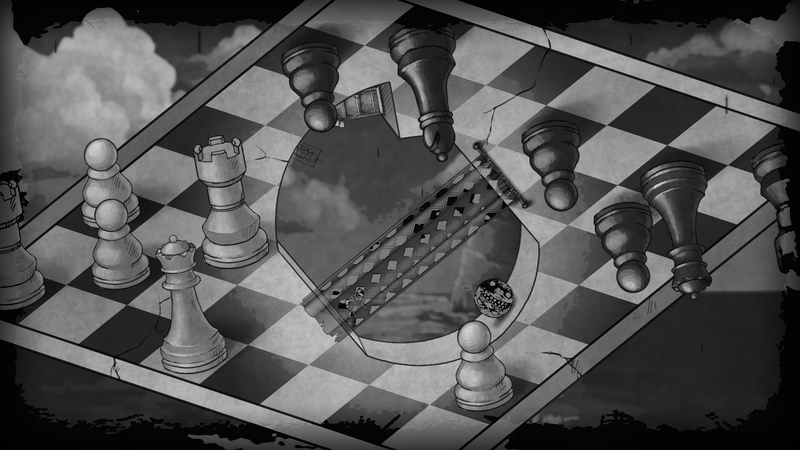 If not by the satisfaction of brilliance one gets at the completion of each puzzle, but by the appreciation of the time, vision, and effort that made each of the unique puzzles a reality. A well deserved and solid 8. Well worth the money to support the developers who put out a quality game.